The golden age of noir fiction by authors like Raymond Chandler and James M. Cain has passed, but luckily there are plenty of modern authors who have picked up the torch. Neo-Noir doesn’t require a private detective and a femme fatale, and these authors have put plenty of new twists on this old genre. Neo-Noir is a great way to escape your everyday police procedural for something with serious style. 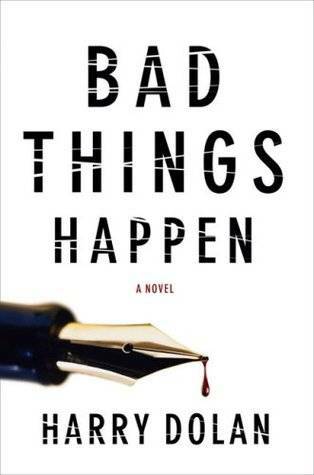 Harry Dolan has written three novels about his tortured protagonist, David Loogan. The first, Bad Things Happen, makes it clear from the get-go that Dolan knows his noir but that he’s not going to play by its rules. For book lovers, there’s the added bonus that the private detective agency and unsavory characters of most noirs is replaced here by a literary journal and a bunch of authors. Loogan has a mysterious past (Dolan mines it for another cracking novel in his most recent effort, The Last Dead Girl, which is not quite as noir but still excellent) and you can never quite trust him. Especially since the book opens with him burying a body. There’s a strong essence of Sam Spade and Phillip Marlowe about Loogan, and there’s more than a bit of femme fatale around his friend’s beautiful wife. But there’s also a single mom detective and the setting of Ann Arbor to keep this book from straying too far into rip-off, instead staying nicely in homage. Verdict: Borrow… and then read the next two David Loogan novels to see if you’re interested in owning the set. You may have read some of Megan Abbott’s recent books- she’s made waves with books about teenage girls gone bad like The Fever and Dare Me. But before she wrote these, she wrote old-school pulpy novels, including Queenpin. This is definitely not an homage to noir, this is noir going at full tilt. It’s set in the same time period as most noir, the ’40s and ’50s, and it’s a journey deep into the underworld of organized crime. But Queenpin qualifies as neo-noir because Abbott makes this a female-centric world. Our unnamed protagonist is a secretary pulled from obscurity by mob queen Gloria, and her downfall isn’t from a dame but from a dude named Vic. Abbott hits all the right genre notes, her writing is spare and slick, and you know from the beginning none of this will end well. Verdict: Buy… this is the best of Abbott’s many neo-noir novels and the kind you’ll want to read out loud to anyone who will listen. If you know author China Miéville, you probably wouldn’t expect him to have a novel on this list. After all, he’s famous for writing fantasy and science-fiction. 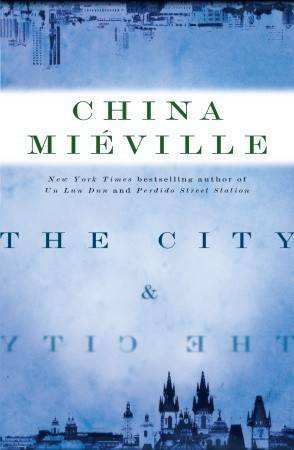 But Miéville’s novel The City & The City is an exciting genre mashup of fantasy and noir that is unlike anything you’ve ever read. This isn’t an easy novel to explain. The core is a murder that two detectives are trying to solve. This is complicated by the fact that these detectives are from two different cities. Oh, and did I mention these cities overlap one another? And that in this overlapping area, the two cities and their residents are completely independent of one another to the extent that it’s a crime to even acknowledge the existence of the other city or any of the other people in it. It makes your head hurt a bit, but that’s part of the fun. Around this basic noir story, Miéville throws in plenty of trippy trappings to make this a truly unique reading experience that’s rewarding in several ways at once. Verdict: Buy. You’re going to want to read it again.